During the groundbreaking inter-Korean meeting last week, Kim Jong-un appeared to have pushed a photographer out of his wife’s way in order to introduce her to his South Korean counterpart, Moon Jae-in in the truce village of Panmunjom. 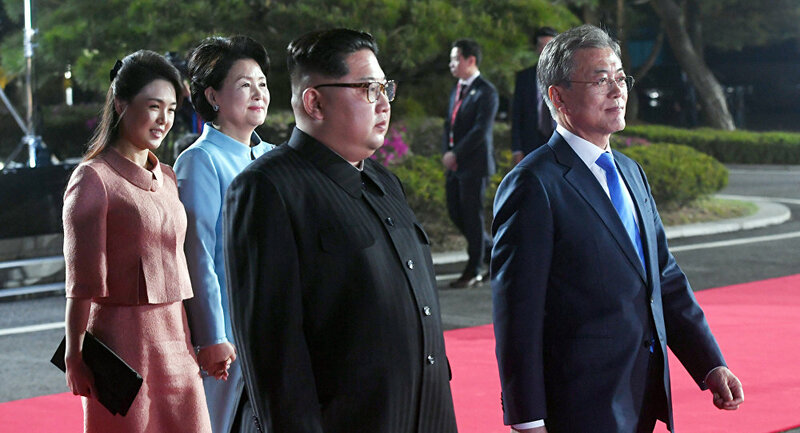 The incident was caught on camera: the footage shows Kim, who was standing next to Moon, trying to make the reporter move aside so that his wife would be able to approach the two leaders. North Korea’s Kim Jong-un and his counterpart from Seoul, Moon Jae-in, met on April 27 for an historic joint summit, having placed inter-Korean peace on the agenda. At the end of the groundbreaking meeting, the two sides signed a declaration confirming their willingness to contribute to the denuclearization of the Korean peninsula and to restore relations between Seoul and Pyongyang.